Pandas to the rescue in U.S./China tensions? Tensions between the U.S. and China may be rising in the East China Sea, but to see the First Ladies of those countries, it’s nothing a few pandas can’t solve. 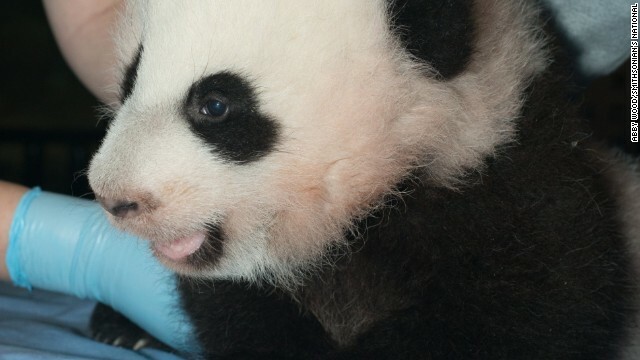 American First Lady Michelle Obama and her Chinese counterpart, Peng Liyuan, took to YouTube in separate videos on Sunday to mark the naming of the newest giant panda born in the U.S.
Sunday marked 100 days since a giant panda cub was born at the Smithsonian National Zoo in Washington. 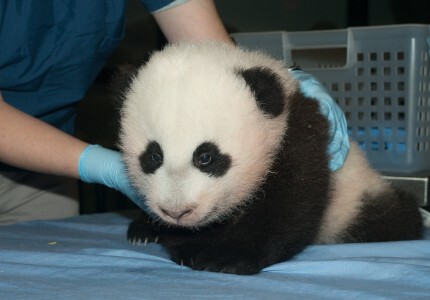 In keeping with tradition, the cub – whose gender is not yet known – was only now given a name, Bao Bao. “These remarkable animals stand as a symbol of the growing connections between our two countries,” Michelle Obama said. The Chinese First Lady echoed the sentiment. 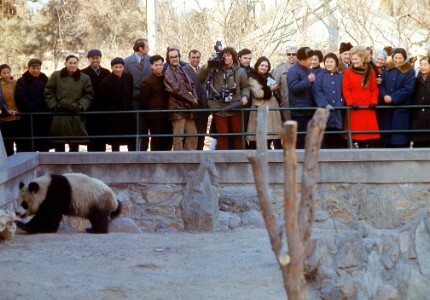 Giant pandas “symbolize the loving care of the Chinese and American people and the friendship between them,” Peng said. Though there are more than 300 pandas living in zoos around the world, they all remain the property of China, effectively on rent to the countries in which they live. Bao Bao, born to Mei Xiang, will go back to China in four years. Peng, holding a toy panda and standing in front of bamboo shoots, references the departure of Bao Bao’s brother, Tai Shan, in 2010. So-called “Panda Diplomacy” between the U.S. and China began in the 1970s, after U.S. President Richard Nixon’s landmark visit to China. Both First Ladies emphasized the important research that both countries have been able to conduct as a result of the partnership. Whether the goodwill of panda diplomacy will influence East China Sea diplomacy, however, remains to be seen. China is so nationalist. Retaining ownership of Pandas even though without Western technology they would've been extinct a while back. wow, it takes a pretty sad human to think of a way to post negative comments on a Panda story.